If you’ve been following my other posts, you’ll have realized by now that I am a big fan of the squat. There is no compound exercise more simple, outside of the deadlift, that packs on muscle and works your body to a sweat. Also, with a huge number of rep schemes and different programs available for the squat, you should never get bored with this exercise. This is why I’ve chosen to write again on squatting. I was getting bored. I’ve been squatting everyday and the monotony of hitting a heavy single and backing off for doubles and triples was really wearing on me mentally. So I changed it up. I made squatting exciting again. At least one day a week of a heavy single. No more than 30 heavy reps (80% or more) per day. PR attempts all the time. Not just 1RM attempts. A different scheme for every day of the week. 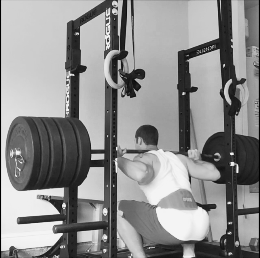 With these criteria set, I’m here to give you some options in your squat everyday routine. Are these rep schemes anything new? Not by any means. However, I didn’t find anywhere in my search where all these schemes came together for an exciting squat everyday program. You can pick a few or all of these to follow. It doesn’t matter. Piecemeal your own routine and make squatting fun for you. Just remember a couple things. 1) Start slowly. 2) Don’t kill yourself. This has been my favorite routine as of late. Just like in squatting everyday, you are going to attempt a heavy single, for that day. Keep in mind a minimum you must hit. Hit that number and if you feel good, up the weight for another single. Once you’ve exerted yourself for a heavy single you are then going to attempt a 5 rep max. Don’t overdo it and attempt 15-20 pounds more than your current max. Start the first day at 95% of your current 5RM. Five pound increments from there each week is suffice. Remember, you’ll be attempting this each week. Let the gains mature. Butter them up. Now you’ve attempted a 5RM and have succeeded. Congratulations. Now up the weight 5 pounds and attempt another 5RM. What? Yeah, go ahead and attempt it. You most likely will land somewhere between 2-4 reps.
As you see above, guy hits the first 5RM attempt but fails the second. He then goes ahead and hits 1 more set to get his total backoff reps up to 10. What happens when you fail a 5 rep max attempt? Let’s say you have a 5RM of 350 pounds. You attempt 355 but on this day you can only achieve 3 reps. Rest 2-4 minutes and then get under the weight again. Continue with the sets until you get to 10 reps.
1) Only allow yourself 4 sets to get 10 reps. If it takes more than 4 sets, the weight is to heavy. Back off 5 to 10 pounds or whatever it takes to get you the 10 reps within 4 sets. 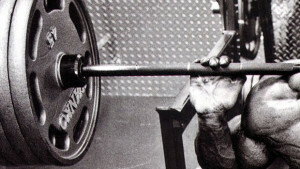 2)If you fail to get 10 reps in 4 sets, start the next session with 95% from where you left off the previous attempt. For instance, you fail 355 for a 5RM and it takes you more than 4 sets to squeak out 10 reps. Back off to 335 and proceed with 5 rep attempts. Most likely at this weight you will hit 335 for 5 and 340 for 5 on this day for a total of 10 reps. The next day you attempt this, you’ll begin with 345. 3) If at any time during your sets you can’t squeeze out more than 1 rep in a set, the weight is to heavy. Back off to 95% as in the example above. As you can see, getting to 10 reps on your back-off sets isn’t supposed to be a grueling process. It will be fatiguing but nothing you can’t recover quickly from and it will definitely make you stronger. This method is very fun to attempt each week as the weights are heavy and the opportunity to PR awaits you every time. You’ll be focusing on 1-3 reps so time under tension doesn’t destroy you. However, the bar gets heavy really quickly as you progress. In the first ladder, you’ll hit a set of 1, then rest. Hit a set of 2, rest. Hit a set of 3, rest. Once you have completed 3 sets, you will increase the weight by 2.5% and start the ladder over beginning at 1 rep and stopping after 3 reps.
On any given day, you should be able to complete 2 waves (340 and 350 shown in example above). Complete 3 waves and you know you’re having a great workout. 4 waves, you’re a monster. When you can no longer complete 2 waves in a workout, it’s time to back off and start over at 95% of your current wave starting weight. 30 reps for time is very simple. Pick a weight, set a timer, get to 30 reps as fast as you can. Genius. However, side note, you want to make this challenging. Start with a weight that you can normally hit for 8-10 reps and then really push yourself to complete the 30 reps in under 10 minutes. 80% is usually a good starting point. What if it takes longer than 10 minutes to complete 30 reps? If you find that it’s taking you longer than 10 minutes to hit 30 reps you have a couple options. Say screw it and get to 30 reps regardless. I only recommend this if you’re within 3-5 reps. There is nothing more grueling than trying to heave out reps for 15-20 minutes. You will hate yourself. Turn your reps for time into an AMRAP (As Many Reps As Possible) – This is the preferred method because all you need to do is stop at the 10 minute mark, notate your reps completed and then try to beat this score next week. Once you’ve hit all 30 reps within 10 minutes you will increase the weight by 5 pounds the following week. If you’re within a set or two of completing the 30 reps you will continue to attempt the same weight each week until you’ve achieved all 30 reps in 10 minutes. If you’re not even coming close to 30 reps, your starting weight is to high. Reevaluate and choose a weight you know you can hit for 30 reps in 10 minutes and start with it next week. How does this help my 1RM? I can’t say that this method will directly help your 1RM as you’re not flirting with 90% weight and above. However, this will help your mental game as you approach the bar knowing you can churn out heavy weight quickly and you won’t be intimidated when attempting high reps in the future. That’s the problem with always going for the heavy single, double, triple. Your mind is used to going for minimum reps and it can make you more nervous than necessary when you head towards churning out 10 reps or more. This method gives you a break from the ordinary heavy single. Make this a game. You’re attempting to win every time. 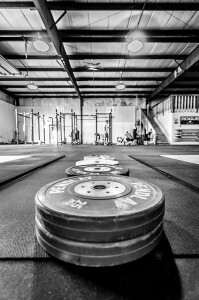 This is one of the best weightlifting programs out there. A simple method to follow and you can choose to use any part of the program you see fit. Throw this method in with Joker Sets to your Squat Everyday program and you’ll be glad you did. I’ve taken this rep scheme idea from the Texas Method programming book. On a side note, if you enjoy reading about programming methods and strength training in general, you should invest in a copy. I’ve found myself going back to this book over and over. The way this day works is to begin with a heavy set of 5 reps. I suggest beginning somewhere between 90-95% of your 5RM. After your heavy set of 5, you will change the weight to 90% of your 3 rep max and complete 2 sets of 3. Finally after the 2 sets of 3, take 90% of your 2 rep max and complete 2 sets of 2. Each week you’ll increase the load for your 5 rep, 3 rep and 2 rep sets by 5 pounds. Eventually as weeks pass and the weight increases you will ultimately not be able to complete 1 or more sets. Don’t fret. Take 90% of the weight you failed and start there the next week. You will see by doing this program that your first set of 5 reps will be your best set as you’re the most fresh. To place more emphasis on the 3 rep and 2 rep sets, do this. Once you start failing 2 sets of 3, reset your 2 sets of 3 to 90% and your rep scheme looks like this. Continue this routine each week and by the time you get back around to placing the set of 5 first you should be hitting bigger weight. Just remember to reset your 5 rep, 2 rep or 3 rep training max to 90% anytime you feel like the weight is destroying you. Here’s another simple, yet effective scheme you can follow from week-to-week. Start at 85% of your 1RM and hit 2 reps Every Minute on the Minute for 10 Minutes. Should you survive you will have hit 20 good reps in a short amount of time. 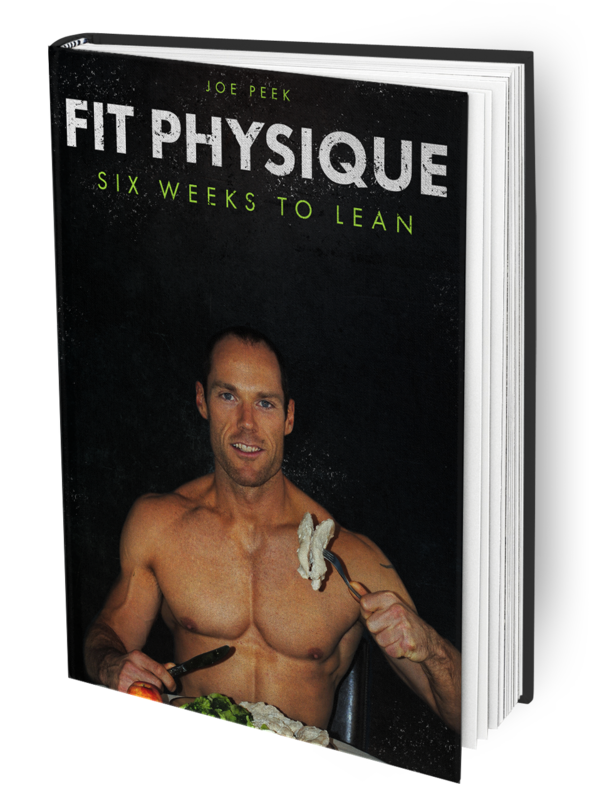 You’ll increase the weight by 5 pounds each week after successfully completing the prior week EMOM. Should you fail to complete the reps each minute, you have a couple choices. Take as much time as you need and complete the remaining uncompleted reps. Decrease the weight and finish out the EMOM. After failing the weight, you’ll start the next week at 95% of the prior. If you’re looking for a challenge during this time add a 3rd rep each minute and attempt to PR the EMOM this way. Continue with the addition of a 3rd rep each week until you get back to the weight you missed the 2 rep EMOM with. If you do add a 3rd rep, don’t sweat it if you miss a 3 rep attempt. It’s going to obviously be heavy. Just ensure you’re getting 2 reps each minute and you’ll be on the road to success. Now you can take any of the back squat routines and turn it into a front squat routine. Focus on your weakness. The rule of thumb is that your front squat max should be at 85% of your back squat max. How does your front squat stand up to this? If you’re like me and sometimes get bored with the monotony of squatting, go ahead and change it up a bit. Make squatting fun and you’ll be motivated even more to get to doing it. So, go ahead…try one variation or try them all. It doesn’t matter. As long as you’re challenging yourself, training consistently, then you are inevitably going to get stronger. Work hard and have fun with it. If the boring repetition is getting to you, change it up or you’ll eventually stop doing it altogether. The glamour of squatting everyday will eventually fade. Don’t let it fade. The squat is King. Until next time…Stay Jacked, Stay Strong.